Google has announced that all Google Profiles withholding names or gender are to be disabled at the end of the month. Google Profiles are tied in to Google Plus, designed to help manage an individual’s identity on the web and recently became even easier to manage Google Adds "Me On The Web" To The Dashboard [News] Google Adds "Me On The Web" To The Dashboard [News] On Wednesday Google added a new feature to its Dashboard line-up for Google Account users. The "Me On The Web" feature pulls information from your Google Profile (if you have one set up), and places... Read More than ever before. This change makes a huge difference from the private profile options seen on Facebook, which allows users to abscond from search results, messages, friend requests and more. Google’s approach only requires the name and gender fields to be public, but forces everyone into the same boat. If you’d like to change any aspects of your profile you can log into Google Plus and click Edit Profile. You’ll find your name easily editable from any screen, and your gender information under the About tab. What do you think about Google’s stance? Would you prefer a private profile? Have you switched from Facebook yet? Is it all hot air? Comments ahoy, below. 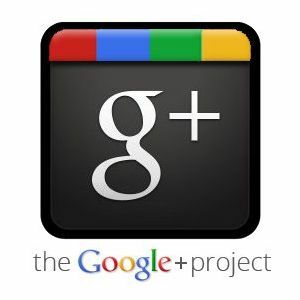 Explore more about: Google Plus, Online Privacy. Thank you !!! Exactly what I need for my wife's thousands of pics in many different directories ! Google became one of the richest companies in the world by keeping things SIMPLE. That seat is now vacant, if another company wants to give it a go. I would take Google from 2 yrs ago over this garbage in a heartbeat. I’m not at all interested in having my name public on the web to have an email account. Anyone that wanted could always have an secret phonenumbe not listed in public phonebooks. There can be many perfectly sound reasons for this. Shouldn’t people that are victim of various kinds of stalkers be able to have an private Google email account. Not long ago an Google boss was talking about that people should be more careful what they say and do on the net then it’s recorded for ever, it’s not like rant rubbish at the local bar on a Friday talk that will vanish in to the dustbin of forgotten memories on Monday. Of course people can lie, not much Google can do about that, not just yet have we been assigned an global “social security” number by the Google illuminates. Google+ is a social network. As in, a network to connect with others. If others don't know my name, how exactly am I connecting? Good move Google. It's not like EVERYONE hasn't entered their name into the internet at one time or another. Is this just Google plus or Google everything profile? Jonathan Drury is my name. Yes I have one. And..? As the two are linked, I believe it's your Google Profile. This information is then used on Google Plus if you happen to sign up for it. Considering one of the reasons Google Profile exists (to track your presence on the web) it doesn't really work without a real name anyway! 1) with your public full name --> full.name+@+gmail.com = SPAM. 2) Once again, Google doesn't seem understand the social networks.I would love to see a picasa like sytem: Public | Private | Limited, anyone with the link. With that step Google just made my decision NOT to create a profile or use Google Plus. Their argument that it enables us to manage our online identity is just rhetoric – how does providing my name and gender do anything other than provide Google with verified information for purposes of targeting. I am sticking with FB. Facebook does the same thing. That's what all those ads you see are, regardless of how private or public your profile is. Only way to avoid that is to pretty much not use the internet since even your usage gets tracked for targeted advertising. LMFAO +1 (pun intended)! Btw, I entered "Google Anonymous" (but not *that* Anonymous) in the Internet Anagram Server and got "Agony Monologues" as my first result. @Dealzon:disqus They've never made it a non-option to de-link your Google Account from YouTube or any of their other once-reputable services that the monolith keeps gobbling (Goobling?) up like Pac-Man after a crash diet. Repeat after me: "It's a feature, not a..." Oh, wait, I mean, "It's all about the Benjamins!" It's a good step. Appreciate! Given the slight backlash thus far of making this option mandatory.. I would imagine they'll do an about face if there's enough feedback from the users. Randal Munroe's (XKCD) recent 'blog' post on G+ sums it up nicely. If it's to make room on the system so that I can finally get an invite, I'm all for it! I'll just let Google disable my profile. I choose privacy over another gimmicky social network. And my FB profile is locked down, private, and devoid of any personal info.